Staying in with the renewable energy theme for now, I introduce 'The Gen'. A combination of wind and solar power production makes this a optimal choice for the average homeowner. There are many things I like about this design; One benefit is that its mainly a roof unit and not one mounted on a pole( like more wind turbine units) the combination of wind and solar are perfect, creating energy 24hrs(as long as there is a breeze) with the wind turbine and a boast during the day with the solar panels is perfect. Take a look below. Save 30-70% on your electric bill with the world's first patent pending solar and wind renewable energy generator. The price of residential electricity in the United States has almost doubled over the past 10 years. As you can see in the graph below, prices are forecasted to increase almost tenfold by 2031. Source: Department of Energy - Historical rates to 2011, and 5% annual increase applied for forecast to 2031. Why Not Use Solar Panels or Windmills? Solar panels and windmills were our initial thoughts. We reached out to several companies, but after doing extensive research, we found that solar panels were very expensive, costing up to $50,000; plus it's not always sunny. Surprisingly, we also discovered that some cities and homeowner associations won't allow them because of their large size. We also looked into windmills, and they were just as expensive as solar panels, costing up to $50,000. Windmills have even more restrictions than solar panels, depending on where you live. Plus, what happens when it's not windy? The United States relies on fossil fuels for 70% of its electrical generation. As fossil fuels diminish, such as coal, oil and natural gas, it will become more costly and more harmful to the environment to retrieve them. In the chart above, tax and energy credits have already been subtracted from the cost. American homes use on average 830 kWh per month. Assuming your home receives wind speeds between 5-10 miles per hour and receives 5-10 hours of sunshine per day, the GEN will produce between 300 to 600 kWh per month. That is up to 70% of the electricity you need. Imagine the results in an area with frequent wind and lots of sunshine! Two and a half years ago I started working in my garage on the first GEN prototype. It was an attic fan style turbine with solar panels along the base. Unfortunately, it didn't capture enough wind to adequately turn the wind alternator. The next version of the GEN took six months of work in my garage and has been a rock solid device. It has produced up to 50% of my electrical needs for nearly two years. The latest and commercial version of the GEN produces up to 70% of the average American electrical needs (depending on weather conditions in your location.) The new GEN features more powerful solar panels, a more powerful alternator and a newly designed 3-blade turbine that increases wind-capturing capacity. 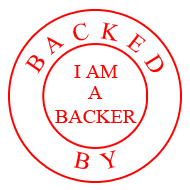 We have a group in Lindon, Utah, ready to begin manufacturing the GEN as soon as we successfully complete our kickstarter fundraiser. Eco-Friendly GEN T-shirts: Durable, comfortable, and great looking. Also, please check the state you live in below to determine the additional tax and energy credits offered. Marcio Pugina, CEO & Founder: Marcio has founded and been involved with several successful technology companies over the past 15 years. He currently has 4 patents including The GEN.
Mike Thompson, Legal Counsel: Michael is an Attorney, former state of Utah representative, and a business advocate at the state and federal level for over 25 years. Spencer Durland, Creative & Branding: Spencer has been making videos for 10 years, including marketing and training videos, short films and music videos. Gabe Villamizar, Marketing & Social:Gabe has over five years of social media, marketing strategy, and business analysis in multiple industries. He is known as the Bruno Mars of social media. Blake McClary, Creative Strategy: Blake McClary is a digital marketing student at Utah Valley University and an obnoxious hipster. He loves all things analytics, social, and start-up.